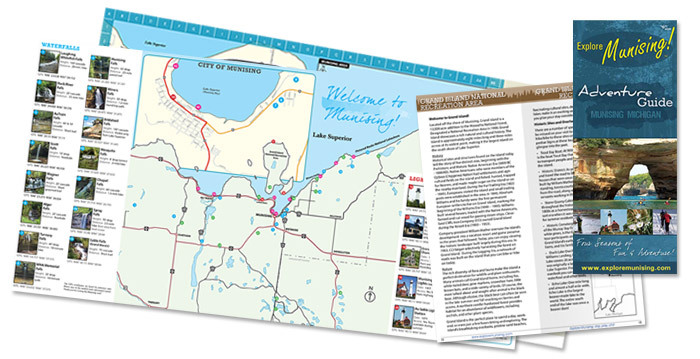 Explore Munising MI Adventure Guide » ORDER & PRINT TODAY! Let the Explore Munising Adventure Guide be your tour guide to the area’s attractions, lodging, nature & parks and more! This 36-page guide also includes large area maps, history, waterfall & lighthouse information and hiking/biking trails. For only a few bucks, you can download Adobe PDFs of the booklet and print them on your home computer. 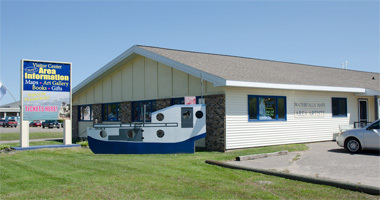 It’s simple, quick and the best way to learn about all there’s to do in Munising! Note: After your order is securely placed through PayPal, you will be redirected to new webpage with a link to download the booklet & maps. • The Munising Adventure Guide PDFs are viewable & printable with Adobe Acrobat. Click to download the latest version of Adobe Acrobat Reader.